Standard bank in an attempt to provide bank apps to everyone and everywhere created a banking app for its customers. With the standard bank app, you are able to carry out transactions easily, pay for bills and much more from anywhere. The standard bank app allows you to manage your bank account at your convenience. It also gives you greater access to your account details, making payments and transfers. One thing that separates the standard bank app from other bank app is that you don’t need data. One negative thing about using bank app is the data you will be charged for just checking your bank balance alone. The standard bank being aware of this has tried to make things easier for its customers. That is why the standard bank app doesn’t need data regardless of the network you are on. This is only possible because the standard bank had an agreement with the mobile networks in South Africa. This agreement allows the customers of the major network providers to access the standard bank app without being charged for the data. So, if you have 1GB worth of data or 0MB you will still be able to use the standard bank app. You will be able to use the bank app even if you have data or not. This puts the standard bank app ahead of its peers. It allows you to transfer money to the same bank or another bank easily. You can also use the bank app to make secure payments. You can also use the app to open accounts without having to go to the bank itself. The bank app also allows you to make payments to foreign accounts. Should you misplace your standard bank card or it gets stolen, you can cancel the card instantly. You also get the chance to order a new card. With the standard bank app, you can increase the limit placed on your ATM card. A nifty feature of the bank app is that you can make insurance claims with photos. It allows loans you take out on your cars. You can also ask for a vehicle cross-border letter using the card. Using this app doesn’t cost a thing. You don’t have to pay for the bank app when you are downloading it from your mobile app store. Data charges do not apply when using the app. Although a small fee will be charged for certain payments and notifications. With the standard bank app, you can send money to your family, friends and loved ones in South Africa. As long as the receiver of the money has a cell phone then the transfer will surely be successful. More than a million people trust instant money in SA. One good thing about this is that you as well as the recipient don’t need a bank account. Instant money with the standard bank app is quick, reliable and safe. No matter the mobile device you use, you can download standard bank app. Be it an iPhone or Android device, as long as you have data you can download the app. 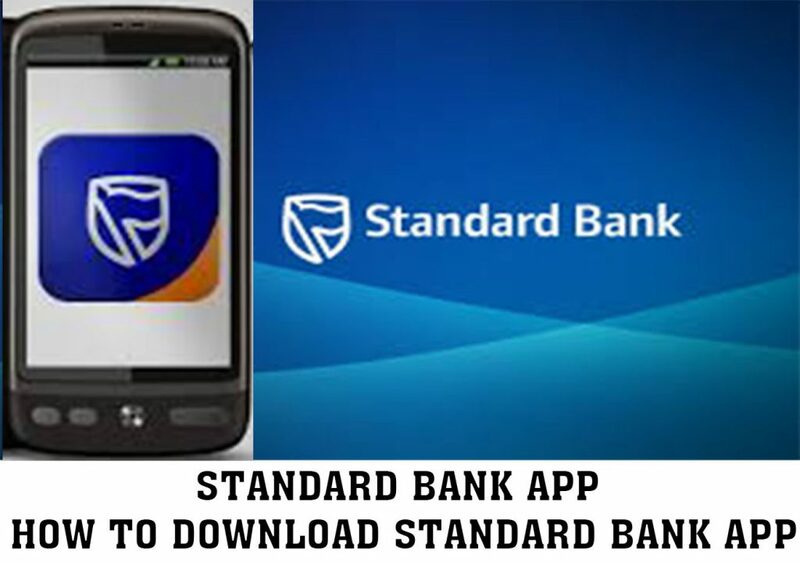 To download standard bank app on your Android device, go to the google play store and search for it. Having found it, click on install. And the download will begin. Ensure that you have enough space on your device to allow the download. The app needs android 4.0.3 and above to function properly on your device. To download standard bank app on your iPhone device, visit the iTunes app store and search for it. Once you have found it click on install to begin the installation. To be able to use the app perfectly, your device has to run on IOS 9 or above. You can also sync the app on your iPhone with the apple watch. If you are you the standard bank for the first time, you will need to create a digital identity. Creating a digital id is relatively easy. You will need to enter in your email address and a password. The password should be a closely guarded secret and should be kept safely. Next is to link your standard bank cards to your standard bank accounts. Once this process is complete then you can start using the bank app. When using the app, you do not have to be worried about the safety of your funds as they are in safe hands. This is because the data you send and receive using the standard bank app is encrypted. Standard bank always tries to improve its financial inclusion practices by trying to include everyone of all ages in banking practices. With this in mind, the standard bank created a bank app for kids. The app is known as kidz banking app. This app is available on both Android and IOS devices. This app helps your kids know what it means to save money and aids them in their money decision making efforts. Kids who use the app are always learning and have fun doing it. All this is an effort of standard bank to put a smile on its customer’s faces. Standard bank will always try to bring out new and creative ways for its customers to manage their money and investments. And they will not just stop at the standard bank app as this is just one of many more to come.